DAVID LE/Staff photo. 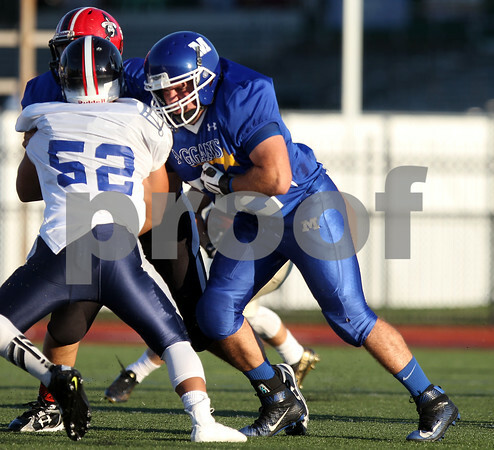 Methuen's Christopher Saba (72) lead blocks for a running play. 6/30/16.